So, like all Peter Riva's other books, I loved it! It was a tad slow in the beginning, which is why it didn't get the full 5 stars, but other than that I didn't have any problems. This book brings back Pero, and he is in yet another situation that could mean his death. I love that Pero seems to always find himself in some serious predicaments. It makes for a great story. And I love that with this character, the constant dram level issues he is facing is believable. It isn't this goose chase of plot fillers. It seems to honest to goodness be Pero, and his life. This is one of the reasons this series intrigues me so much. I was worried before going into the first one that it would seem forced. And still had my reservations before this one, but it isn't. It just seems like another story in the life of Pero, and I sure hope there are more to come! This story is a little different, as it kind of follows Pero and his connections in the State Department, which we got to see in the last book. It takes place in Berlin, and Pero must deliver a package. In this book we see Pero and some of our old friends from the previous books. Mbuno makes his appearance, which pleased me to now end. 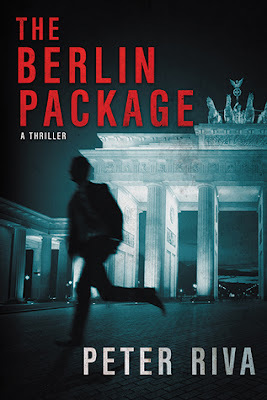 I loved how the author incorporates the kind of feel of the previous book into this one as well, even though it isn't taking place in East Africa, but in Berlin. I enjoyed this book immensely. It was slow, like I had said, but it sure picked up fast. Once it started going, I was unable to put the book down until the end. If you are looking for a quick and immensely action packed read, I suggest you pick up this book. As well as the previous one. They are great, summer blockbuster reads, for sure!